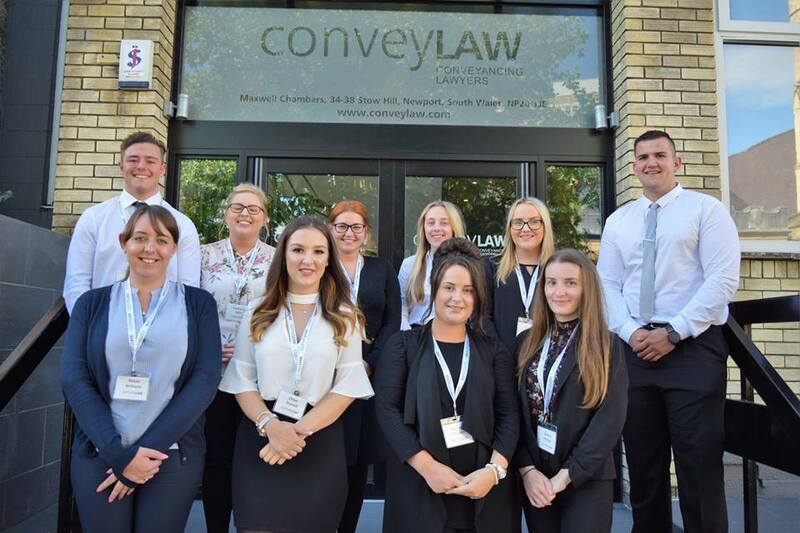 Read Chloe from Convey Law’s helpful hints on how to make yourself shine in the hustle and bustle of a Careers Fair. Here at Convey Law, we look for motivated and talented individuals who demonstrate the highest levels of customer service. Our advice is to make yourself memorable to an employer by demonstrating brilliant communication skills, a conscientious demeanor and a unique personality. Bring many copies of your CV to submit to employers – this displays preparation and enthusiasm which all employers love. Come prepared – Review the online directory/ brochure of employers attending the law fair. Spend a little time getting some background on the organisations you would like to speak to, then you can ask very focused and specific questions. This impresses representatives because it shows a genuine interest in them. Dress appropriately, introduce yourself, and be prepared to give your best “career pitch.”– A strong handshake is always good. No one likes a floppy hand! Have your CV accessible and ready to give to the employer. Be prepared to talk about your career interests as well as academic and extracurricular experiences to show your skills and strengths. You won’t get a second chance at a first impression, so make this count! First impressions are extremely important, so dress appropriately; as they say, “dress for the job you want, not the job you have”. Prioritise the employers you’re most interested in – Many other students may be interested in the same employers therefore you will need to plan how you will approach the companies you are most interested in. Plan in enough time to speak to those of most interest and consider that you may need to wait to speak with some employers. Take notes– You may not acquire face time with the appropriate role representative at the firm that you are interested in, therefore, you will need to take notes and contact details for the possibility of talking with additional managers. 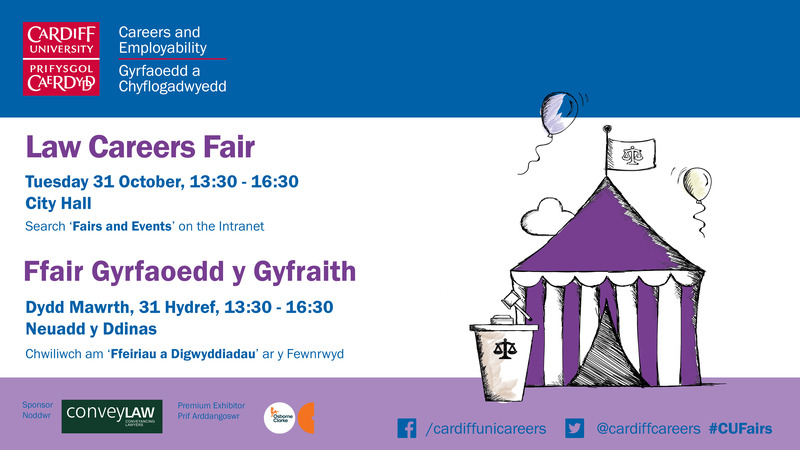 Convey Law will be attending the Cardiff University Law Careers Fair on the 31 October 2017, 13:30 – 16:30 in City Hall. We hope that you have taken on board our advice and look forward to seeing you all on the day! Chloe, Secretariat at Convey Law.